Most college students enter the workplace in debt, according to a report published by the Institute for College Access & Success. The report states that the average college student graduates owing $26,600. This debt can really put a damper on a person’s after-college plans. It means hitting the job marketplace right away and often accepting the first job, as opposed to your dream job. In order to keep costs down, it’s recommended that students find ways to pay for college as they’re taking classes. 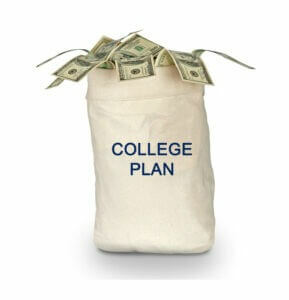 529 savings plans are created to help students pay for college. These plans aren’t taxed, even during withdrawals, when the withdrawals are class related. You can use the money in your 529 plan to pay for college dorm expenses, tuition fees, rent, books, and anything else related to college expenses. There’s no income limit for 529 plans, but you’ll be forced to pay taxes and withdrawal fees when you attempt to use the money for something non-education related. Just as the old adage states, “give and you shall receive,” when you donate your time to a good cause, that cause will reward you with a scholarship. During school breaks, why not sign up for AmeriCorps? AmeriCorps will help you get a job with a national nonprofit that will reward your time with scholarships and regular pay. Unfortunately, the base pay isn’t going to be much. You can only expect to make around $11,000 a year working for these charities, according to Smart Money. What these charities lack in regular wages, they make up for in scholarships. Depending on how long you serve, you could score yourself up to $5,500 in tuition costs paid. Smart Money also recommends scouring local job ads for part-time gigs directed at college students. Depending on your coursework, you could feasibly work up to 40 hours. If your coursework is so demanding you can’t work a job with regular hours, look for gigs that don’t require a huge time commitment. Some employers will start you off in an entry-level position after you’ve graduated high school or achieved an under-graduate diploma. Oftentimes, these positions require a minimum 20 hours a week obligation, but they can net you around $500 a week. This is a lot of money to go to tuition costs, plus your employer may be helping you save with a 401k plan or other savings tool. Plus, while paying for college you’re also netting yourself valuable on-the-job training that’s going to look stellar on your resume. When you’re accepted into college, you’re also invited to fill out a free FAFSA (Federal Application for Federal Student Aid.) The FAFSA is filled out every year you attend college, in case your situation changes. Some years, you may receive more grants than others. If you’re attending graduate school, you can inquire whether or not fellowships are available for your field of study. Although reducing expenses won’t earn you any money to apply toward your tuition costs, it will save you money. That savings can then be put toward college expenses. For instance, you can choose to move into an apartment, instead of a dorm room. Dorm rooms cost a small fortune, so avoid them and you’ll save more. Other ways to save include eating at home, using student discounts wherever possible, and sharing expenses with roommates. Think about cutting out unnecessary bills, like cable television. Once you’ve gotten into the habit of smart spending, you’ll find you’re able to apply more of your money to loans and tuition costs.